The Norway rat or the brown rat is one of the best-known common rats. They are light brown or grey, measure up to 18 inches including the tail and weighing between 9 and 12 ounces. Norway rats are similar to the Roof rat however, Norway rats have smaller ears, tails and eyes. They have poor eyesight, relying heavily on their sense of smell, touch and hearing. Norway rats are nocturnal animals living in fields, forests and farmlands. In the absence of humans, Norway rats prefer to live on riverbanks and other moist environments. Norway rats also live closely with humans. They are commonly found in sewers, warehouses and storage facilities. In residential areas, Norway rats can live in or outside of homes and businesses. Norway rats like to vigorously burrow around structures to build nests for protection and food storage. The nests are also elaborate, built of paper and miscellaneous materials with multiple exit passageways in case of danger. There really isnt much a Norway rat will not eat. They are genuine omnivores, consuming just about anything one can imagine. The most favorite foods consumed by Norway rats are macaroni and cheese, scrambled eggs, cereal and popcorn. Their least favorite foods are beets, celery and peaches. Some Norway rat colonies in Europe are known to dive for shellfish, crustaceans and fish. Norway rats habitually leave behind urine and droppings, which contains a variety of deadly diseases and viruses. These diseases and viruses become airborne once introduced into a home and can spread to humans simply through inhalation. 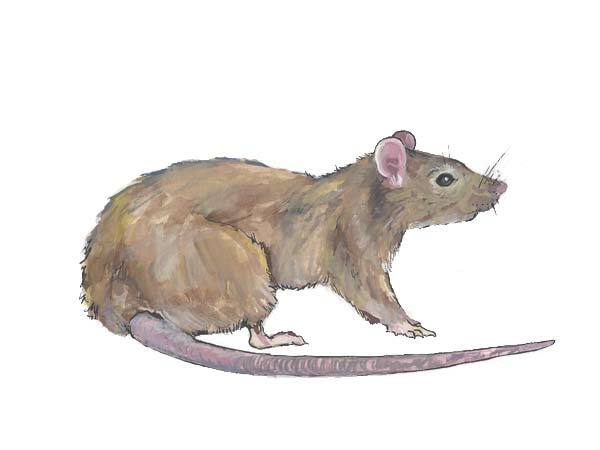 The most common diseases transmitted by Norway rats are hantivirus pulmonary syndrome, hemorrhagic fever, lassa fever, leptospirosis, lymphocytic chorio-meningitis, omsk herrorrhagic fever, plague, rate-bite fever, salmonellosis, south american arenaviruses and tularemia. A female Norway rat may come into heat every 4 or 5 days and start mating again the day after a new litter is born. The average Norway rat will produce 20 pups per year. Because of the tropical climate in Manatee and Sarasota counties, Norway rats can breed all year round. Norway rats have an average life span of 1 year although some may live up to 3 years old. Norway rats leave behind a consistent trail of droppings in their path, especially around entryways. Dark smudge marks may also appear around passageways where Norway rats squeeze in and out. Norway rats habitually leave behind urine, which may have a strong odor if the infestation is severe. Gnawing marks are sometimes visible in areas where Norway rats frequent and sometimes you may hear noises in strange places such as attics or wall voids. Poor sanitation and the presence of garbage can lead to serious Norway rat infestations. Inside the home, keep food in sealed containers or in the fridge. Eliminate all possible rodent shelters outside such as woodpiles and yard trimmings. Dog pens and other animal feeding areas should be well maintained. Norway rats can squeeze through tiny openings therefore any area ¼ inch or larger outside should be properly sealed off. We have been providing pest control services to Sarasota and Manatee counties for decades, including rodent control in Gulf Gate, rodent control on Lido Key and nearby neighborhoods. We specialize in exterminating rats from your home. Call us today!